The Haase Quartet was formed in the fall of 1999 by Peter Haase of the National Symphony Orchestra and his student Julia Sun. Since their first performances together the quartet had the opportunity to perform in weddings, receptions, ceremonies, and events. The quartet has performed at the Kennedy Center, Hermitage Foundation, Watergate Hotel, Fairfax Town Hall, churches and more. 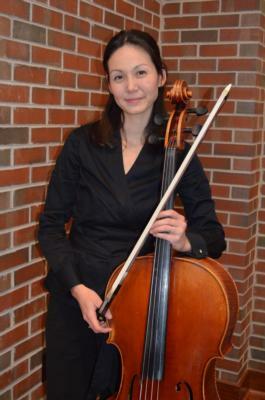 The quartet has performed in master classes with the Shanghai Quartet, the Orpheus Chamber Orchestra, The Ying Quartet and The St. Lawrence String Quartet. The quartet studied with the Lydian String Quartet at the 2001 Lydian String Quartet Summer Music Festival in Waltham, Massachusetts. The ensemble was feature in the 2001 Fairfax Spotlight on the Arts and was also filmed for a scene of the movie "Hannibal". Please visit us on our website to learn more about us. Having the Haase String Quartet added a special touch to our ceremony! They were easy to work with and even made accommodations the day of the ceremony when we had to make a last minute change to the music. Their music was exactly the sound we were looking for during the ceremony! I hired them initially for just my wedding, but they were able to change and add on cocktail hour when our venue changed. Great group! We couldn't have been happier with The Haase String Quartet. They were pros from start to finish and sounded amazing. Great group of musicians and I would highly recommend using them. They were a special part of our ceremony and cocktail hour. 5 Stars all around!!!!!! Professional group for a wedding ceremony. They played several special "requests" for the ceremony with scores we provided. Very accommodating prior to the event with negotiating extra time and the special requests. Thanks! The day was crazy and I didn't even meet most of the quartet. However, they were very quick to respond to emails and accommodate our request leading up to the wedding day. They even incorporated a late request which they had to arrange for us, at a very reasonable cost. The day of the wedding they were on time and sounded excellent. Everyone thought it was a beautiful touch to have the quartet play. Thank you Haas String Quartet! 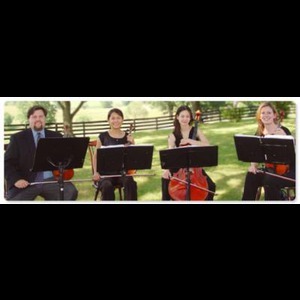 The Hasse String Quartet performed beautifully at our wedding in May. We had some very specific requests for the ceremony and they were not only accommodating to these requests, they played each piece perfectly. We were very pleased with their performance and would certainly recommend them to anyone else looking for a quartet for ceremony, cocktail hour, and more! The quartet was great. They answered any questions that I had. The day of my wedding I didn't have to worry about anything. And their music was absolutely beautiful!! Please note Haase String Quartet will also travel to Oakton, Vienna, Burke, Centreville, Clifton, Herndon, Merrifield, Springfield, Annandale, Chantilly, Dunn Loring, Fairfax Station, Reston, Falls Church, Mc Lean, West Mclean, Manassas, Arlington, Dulles Airport, Great Falls, Greenway, Alexandria, Sterling, Newington, Cabin John, Catharpin, Lorton, Occoquan, Woodbridge, Bethesda.